Donald Trump appeared on The Palin Update on Mama Grizzly Radio on Tuesday. The popular businessman said he would be thrilled to have the former governor in his cabinet. 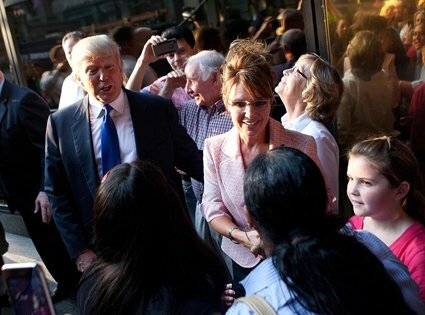 The Donald would love to have Sarah Palin in his cabinet. — Health and Human Services? Trump and Mama Grizzly Sarah Palin – what a perfect revenge on the liberal fringe after 8 years of the crackpot Narcissist in Chief!